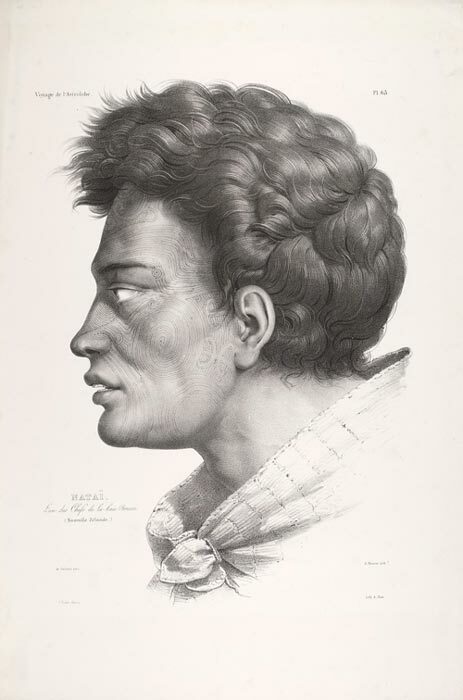 This handsome profile, the bouffant hairstyle recalling Napoleon, is regarded by art historians as an outstanding example of the European concept of the ‘noble savage’. In the romantic period, indigenous peoples who lived close to nature were seen as living a truer life than convention-bound Europeans. This lithograph is based on a sketch by the French artist Louis Auguste de Sainson.